Design and elegance abound in this gorgeous recent construction home! 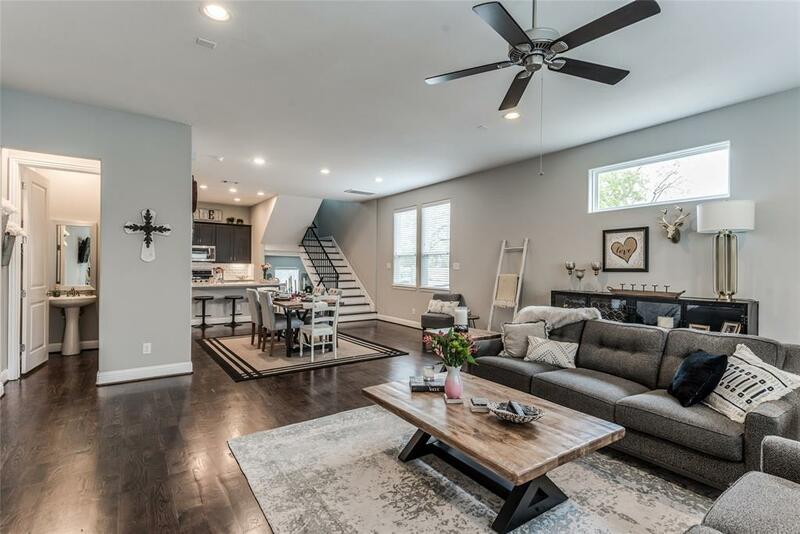 Spacious and open, this corner unit home offers 9 & 10 ceilings, hardwood floors, recessed lighting and lots of natural light. 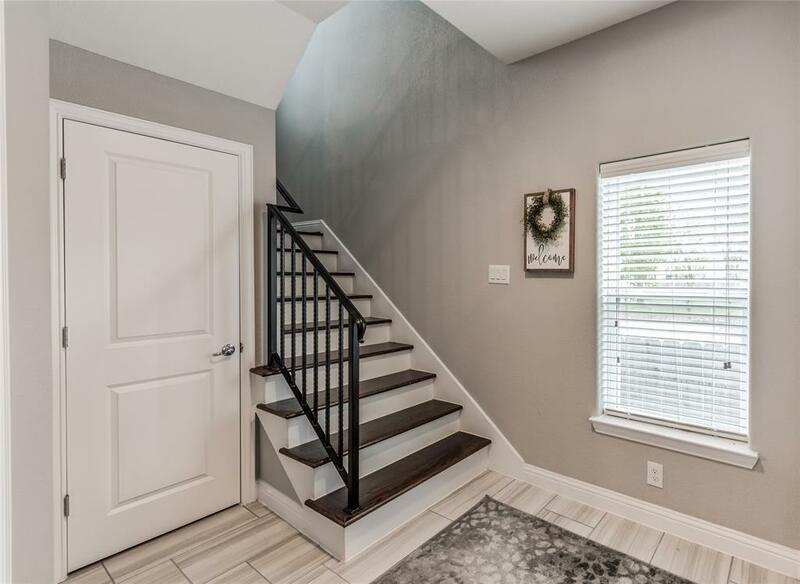 Spacious foyer opens to the 1st floor bedroom with private bath. 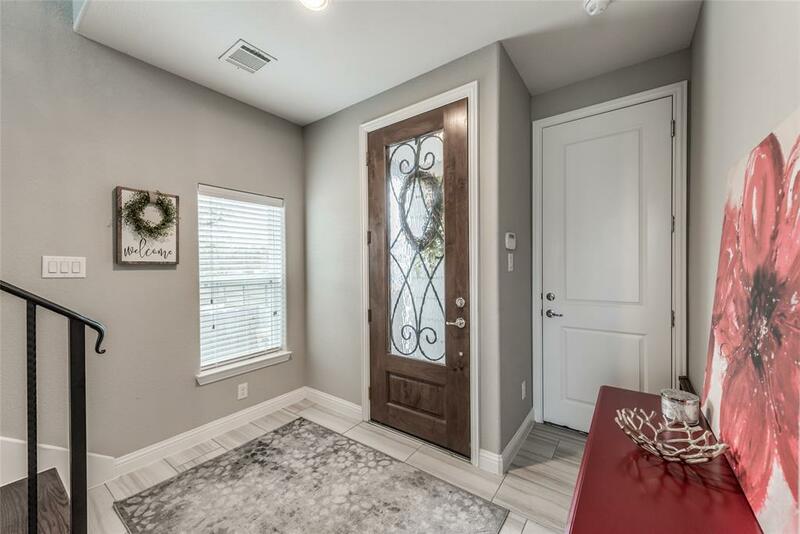 2nd floor opens to the vast living and dining areas and a cook's kitchen with granite counters, tons of storage, under counter lighting, and pantry. Convenient half bath too. 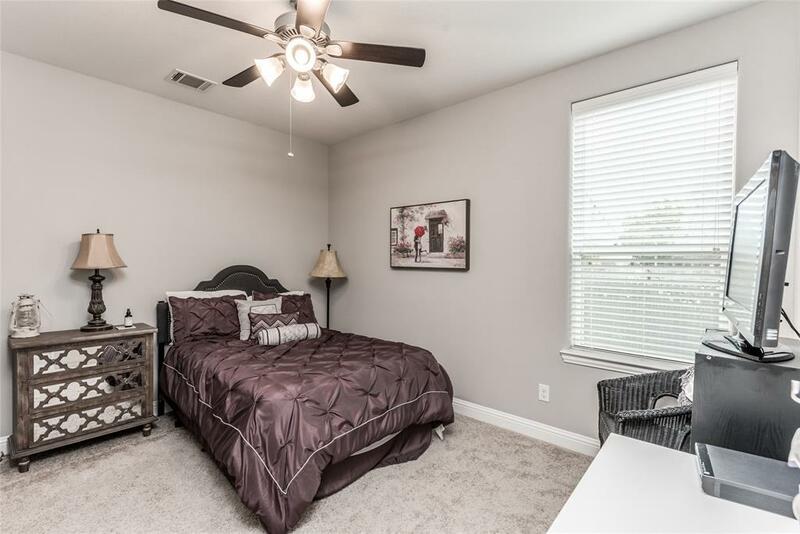 The master suite is stylish and beautiful with vaulted ceilings, hardwood floors and room sized walk-in closet. Luxurious master bath has dual sinks, oversized soaking tub and separate shower. The 3rd bedroom has a private bath and nice closet. The beautiful backyard has yards of yard, large deck and bistro lighting. The home offers fabulous storage including a wall of shelves in the garage and huge storage closets throughout. Great walkability to restaurants and neighborhood parks. Blocks from the hike and bike trails, new HEB and Whole Foods 365..